This grasshopper female was observed feeding within Salt Cedar, an exotic non-native plant, at Spur Cross Conservation Area, Cave Creek, Arizona on 30 Sept. 2008. 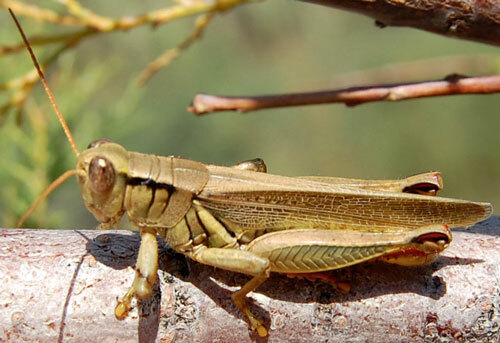 This grasshopper can be yellow-tan to almost pure green in color. It feeds on a variety of plants and ranges from California through Arizona, Colorado and New Mexico. It's presence in the Sonoran Desert is dependent on the abundance of rainfall and resulting vegetative growth.